The surface of the bridle paths, especially in Central, Prospect, and Van Cortlandt Parks resembled concrete. This material was removed and approximately 21 miles of bridle paths were resurfaced. 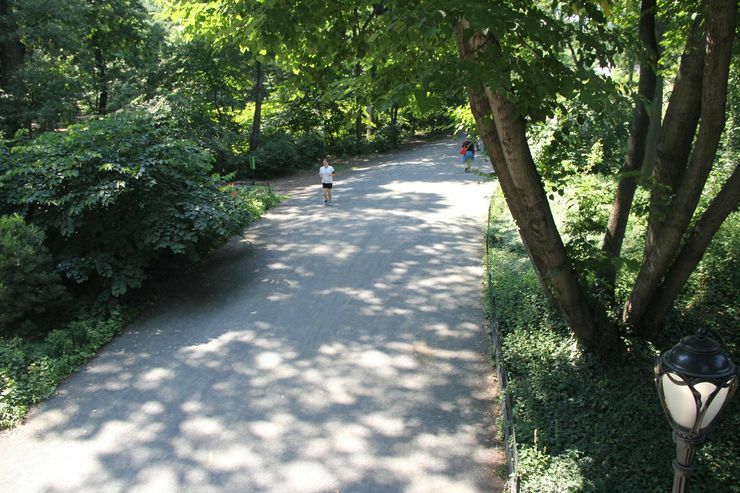 This includes the 4¼ miles of Central Park bridle path. Bridle paths were but a small piece of the massive workload of 1934 paid for (as noted in the same document) by "Work Relief Funds" and accomplished with work relief labor[3,4]. Rosenzweig, Roy, and Elizabeth Blackmar, The Park and the People: A History of Central Park, Cornell University Press (1992), p.451.